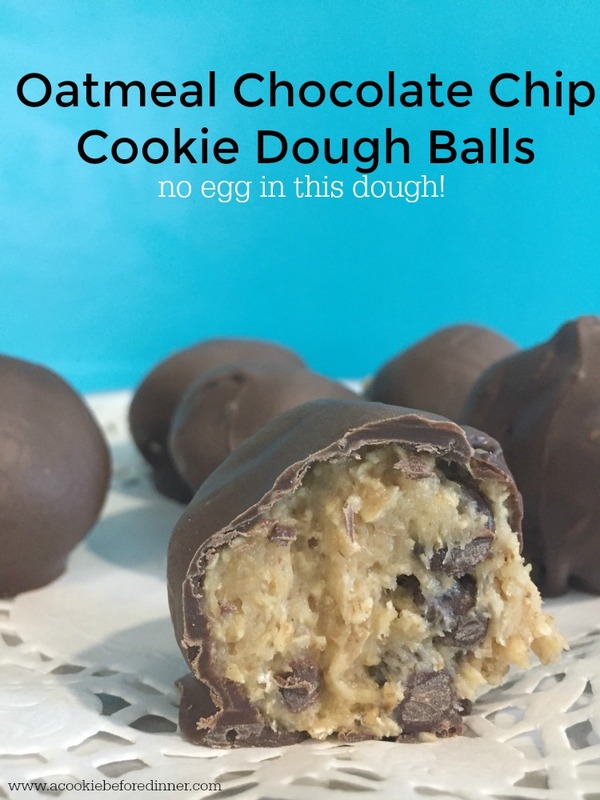 This recipe for oatmeal chocolate chip dough cookie balls is brought to you today by Stop & Shop. Growing up, my mom and I always made a peppermint bark candy for Christmas. She called it her famous stress candy…. she used a hammer to crush candy canes in a sandwich bag and then used a rolling pin to make the candy canes even finer. I have such sweet memories of delivering her famous candy to family and friends. 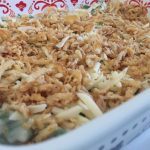 And now that she’s passed away, I am so thankful I have that recipe! One of the things that I loved about my mom is that she taught me the joy than can be found with starting with a “cheater” product and dressing it up to make it your own. 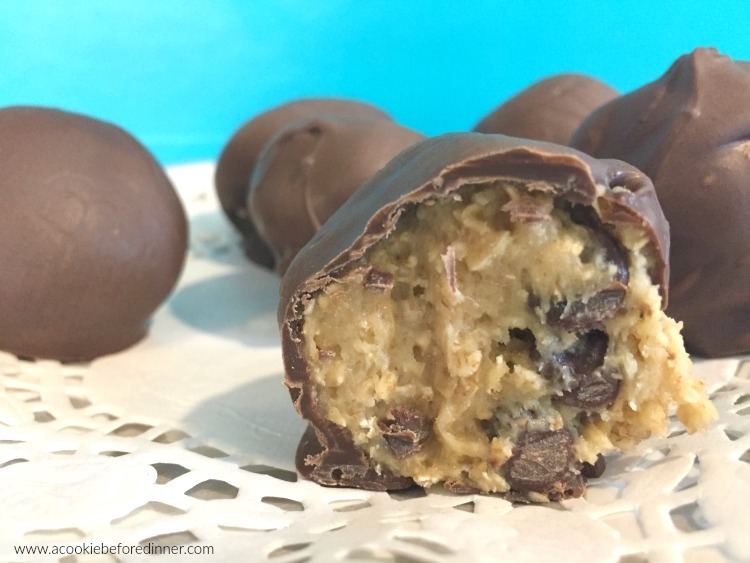 I learned how to hack my way through the holidays thanks to her, and she was the inspiration for this recipe for oatmeal chocolate chip cookie dough balls. If she was still alive, I know she’d think they were genius . My mom often stressed the importance of being able to get everything you need at one store. “You’ll save time and gas if you can just make one stop,” she’d say. 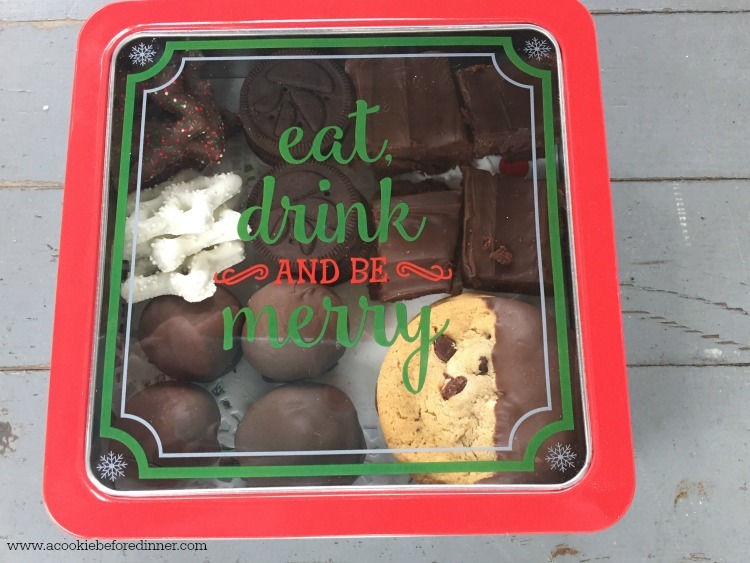 I picked up everything I needed for my oatmeal chocolate chip cookie dough balls at ﻿Stop & Shop, plus a few other goodies to make an epic Christmas cookie tin. Here is a sampling of what I put inside! 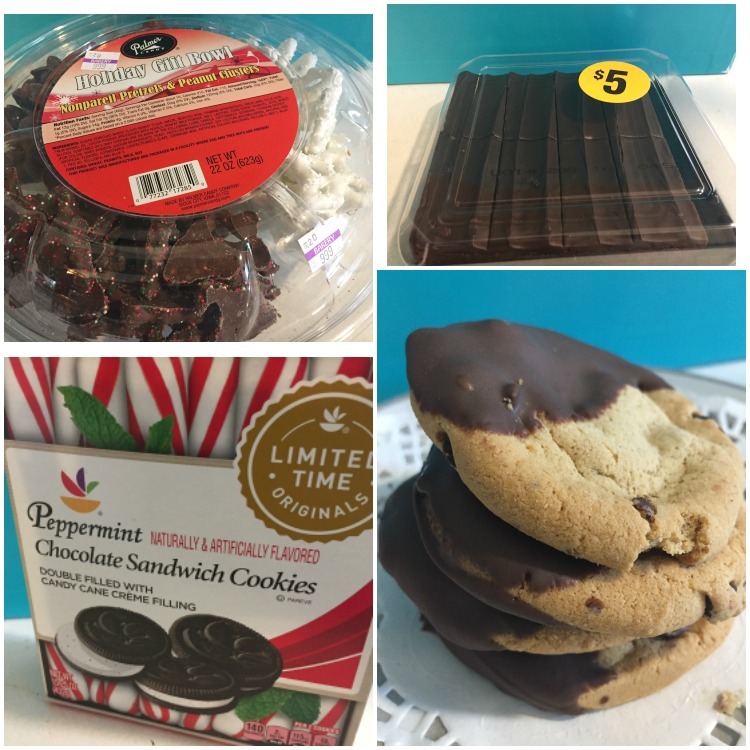 Candy pretzels, brownies and chocolate chip cookees from the bakery and Stop & Shop peppermint sandwich cookies. 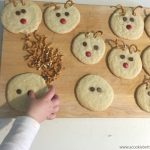 Isn’t this the cutest Christmas cookie tin you’ve ever seen? I wish I could share it with you, but it’s already been given to my neighbors! 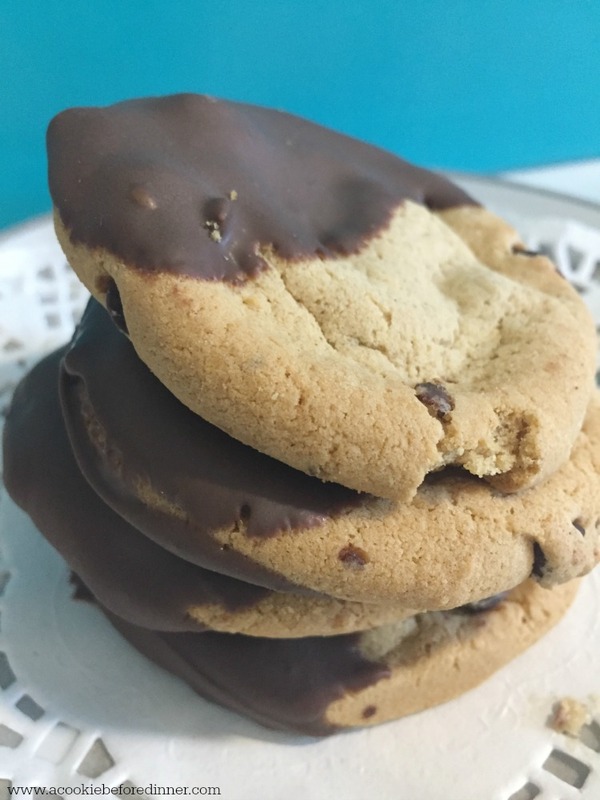 In addition to making my oatmeal chocolate chip cookie dough balls, I also dipped some of Stop & Shop bakery’s chocolate chip cookies in the melting chocolate. #holidayhack…. everything is better when it’s dipped in melting chocolate. Pin the image below to save for future reference. Trust me, you’ll thank me later. 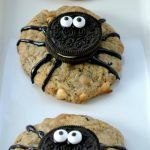 What is great about this recipe is that the cookie dough is 100% safe to eat… there are NO EGGS in it!!! 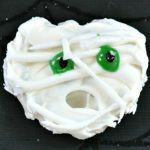 Instead of eggs, it uses milk to wet the mix and form the dough. 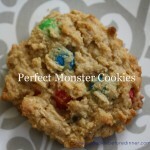 Combine cookie mix, butter and milk into a bowl and mix well until dough forms. Roll dough into balls and place on a parchment paper lined baking sheet (or pizza pan in my case). Chill for 30 min or freeze for 15 minutes (you need to let the butter cool back down after being in your hand before you dip them in the warm chocolate). Following the directions on the package, melt your melting chocolate in the microwave. Using a fork, dip balls into chocolate and place on another parchment paper lined sheet. Store in the fridge (because of the butter). Yields approximately 24 balls (depending on how large you make them). 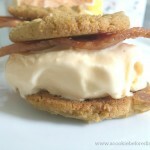 You'll love impressing family and friends with this edible cookie dough recipe! No egg! 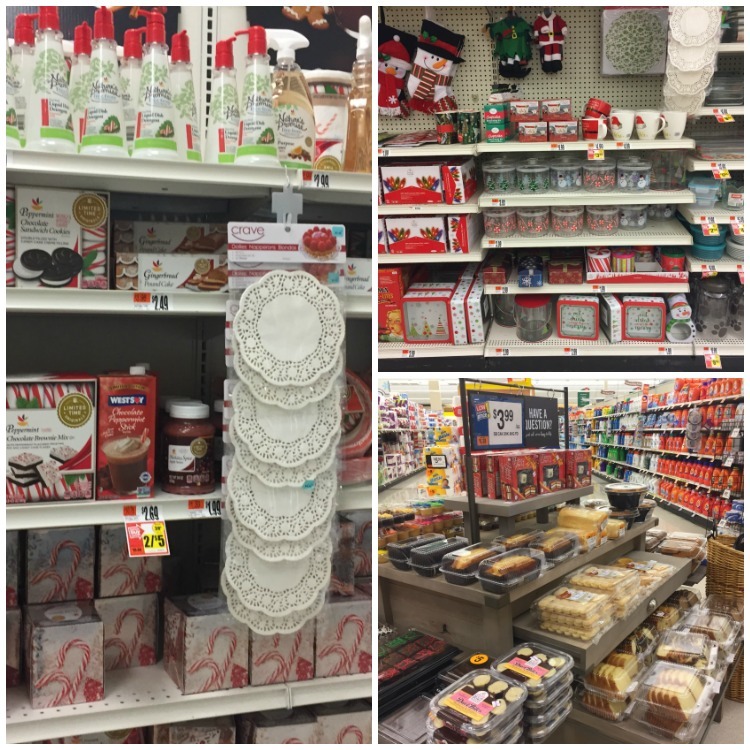 Stop and Shop has everything you need to make your holidays amazing. Sign up here for their rewards card. If you’re a new member, they’ll give you a $5.00 coupon to get you started!